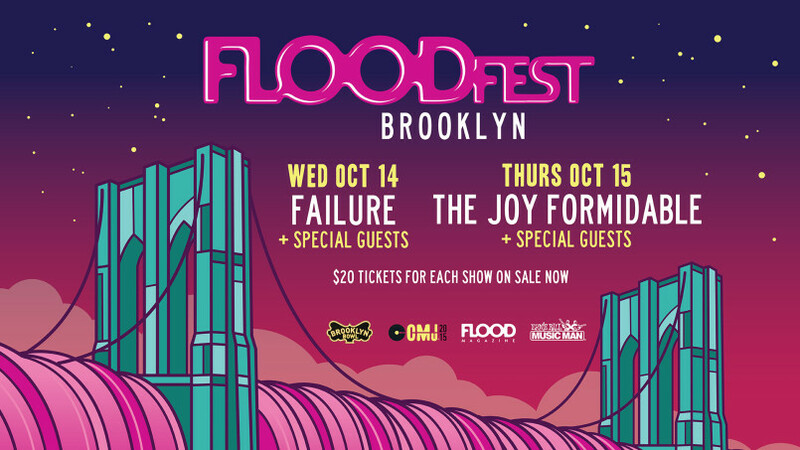 This October, the latest East Coast chapter of FloodFest is coming to Brooklyn, New York. 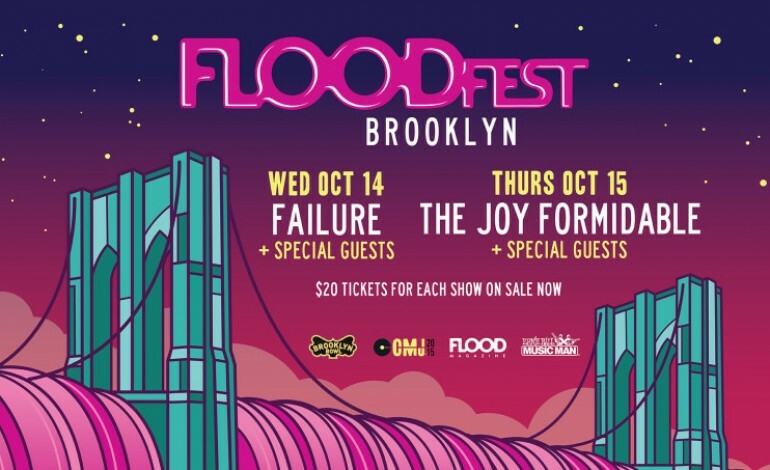 FloodFest is a two-night concert event, which is being held on October 14th and 15th, 2015, at the one and only Brooklyn Bowl. The confirmed headlining performers are Failure and The Joy Formidable, along with a number of special guests that have not been formally announced, at this time. The Brooklyn Bowl is opening its doors to concertgoers at 6p.m. on both FloodFest evenings; however, the show does not start until 8p.m. FloodFest Brooklyn 2015 is taking place during this year’s CMJ music marathon, according to a press release. So, entrance to the FloodFest will be free to anyone that holds a CMJ badge. However, if you have not purchased a badge, click here to purchase tickets to see Failure, and click here to purchase tickets to The Joy Formidable. A ticket to each night is only $20, according to a press release. Lastly, please note that organizers of FloodFest have decided that both concerts at the Brooklyn Bowl are exclusively age 21+ events. The Joy Formidable hail from Northern Wales, but are currently based in London. The alternative rockers sing in English and Welsh. To date, they have released two studio albums – The Big Roar in 2011, and Wolf’s Law in 2013 – and they have been in the studio working on a third full length recording. In March of 2015, on their official website, they shared a music video for their latest Welsh-language single, “Y Garreg Ateb.” And, most recently, in August, the band posted a video that paid tribute to the score of the television drama, Twin Peaks, as they were working on their new album, since a new series is on the horizon. The American alternative rockers that make up Failure, on the other hand, have been spending much of their time on tour, over the course of this summer. Additionally, in 2015 alone, they released a new song, “Mulholland Dr.,” put out a new music video, gave their fans an album of new material, and welcomed one of their members – Troy Van Leeuwen – back into the fold, before embarking on a fall tour. Check out the FloodFest Poster, below.